I love to travel and explore new destinations. Travel is my passion & my work. I offer professional service you will not find by booking online. Professional dream travel designer with 16 years experience in the travel industry. 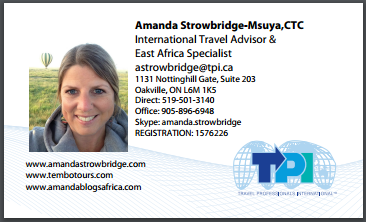 International Travel Advisor with Travel Professional International (TPI) & East Africa Specialist. Booking travel worldwide!